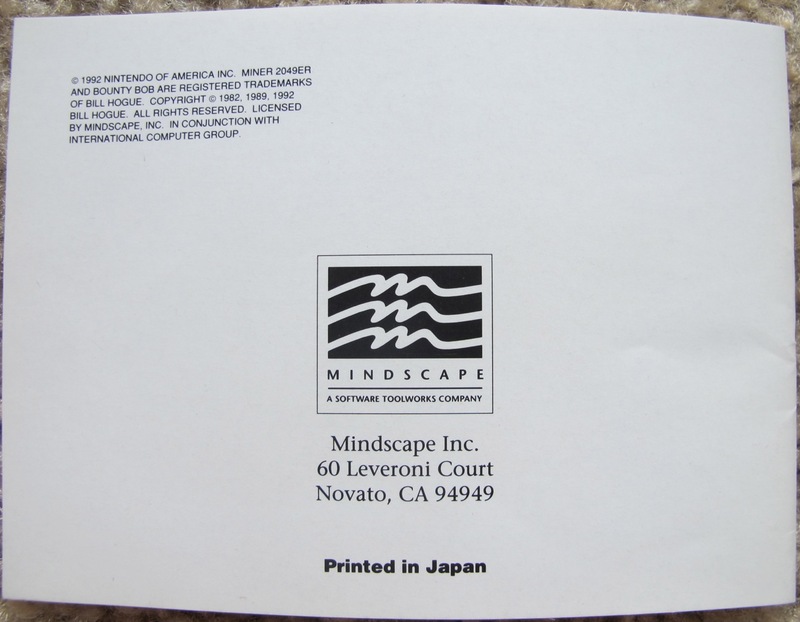 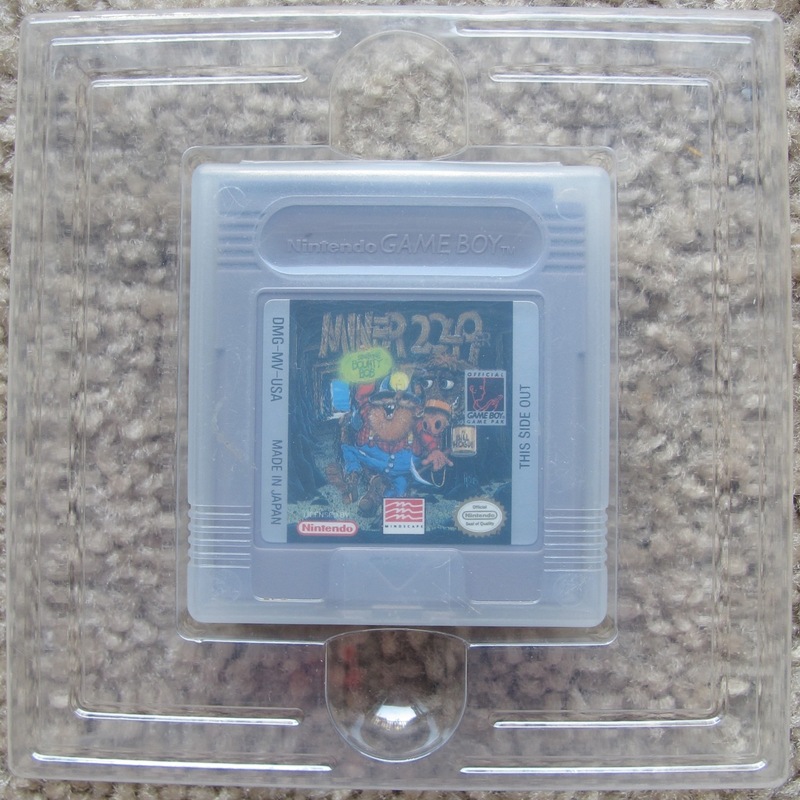 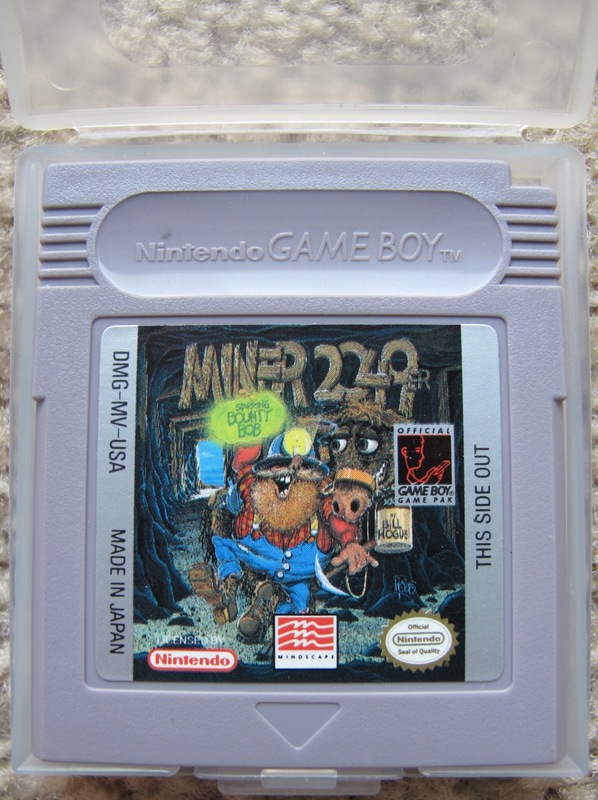 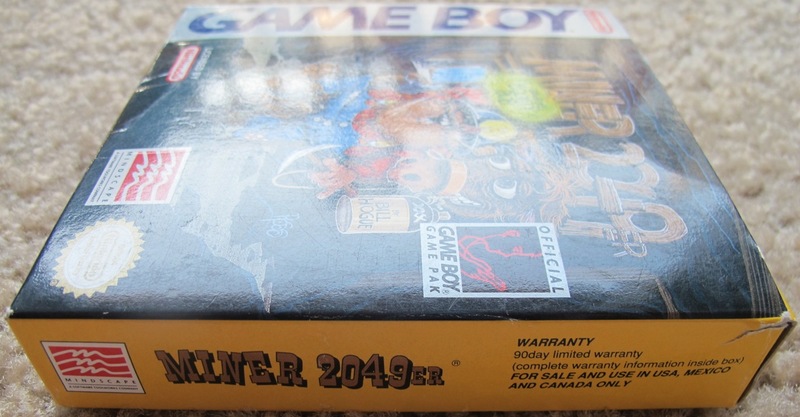 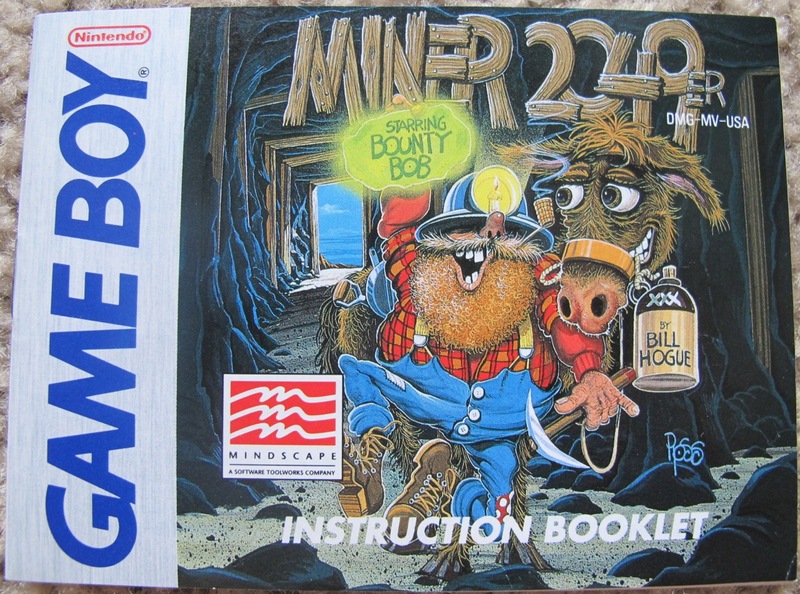 The Game Boy version released in the USA in 1991 by Mindscape. 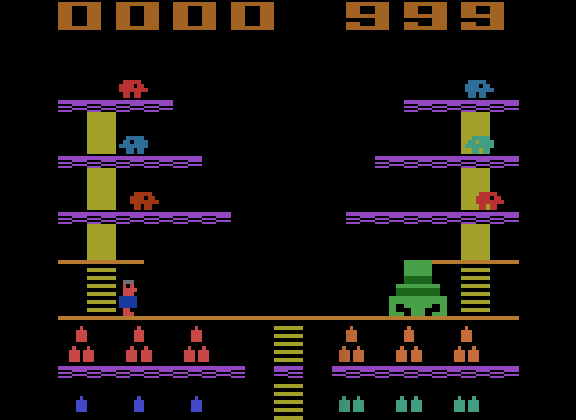 This release marks the sharp divide between the classic retro gameplay and visuals of the original, segueing into the visual style featured in all of the modern remakes. 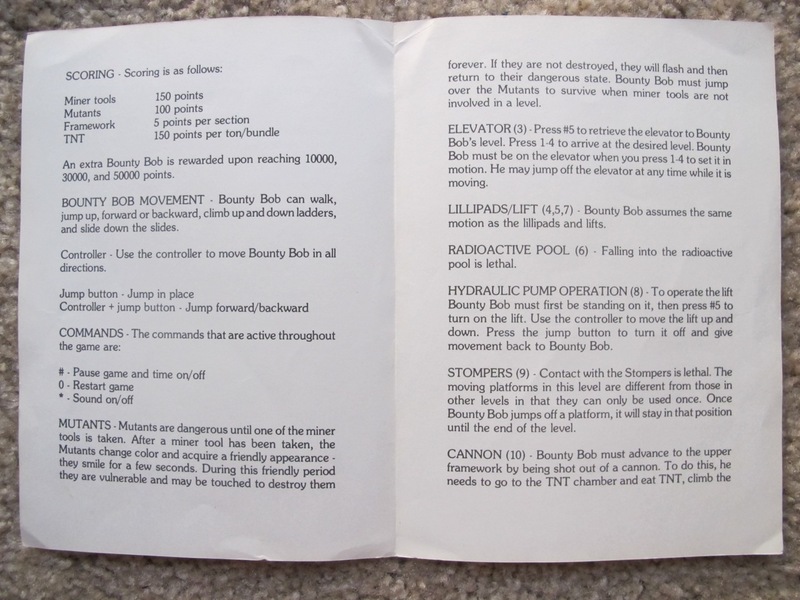 References to two more levels are in the game’s ROM but the levels aren’t actually there. 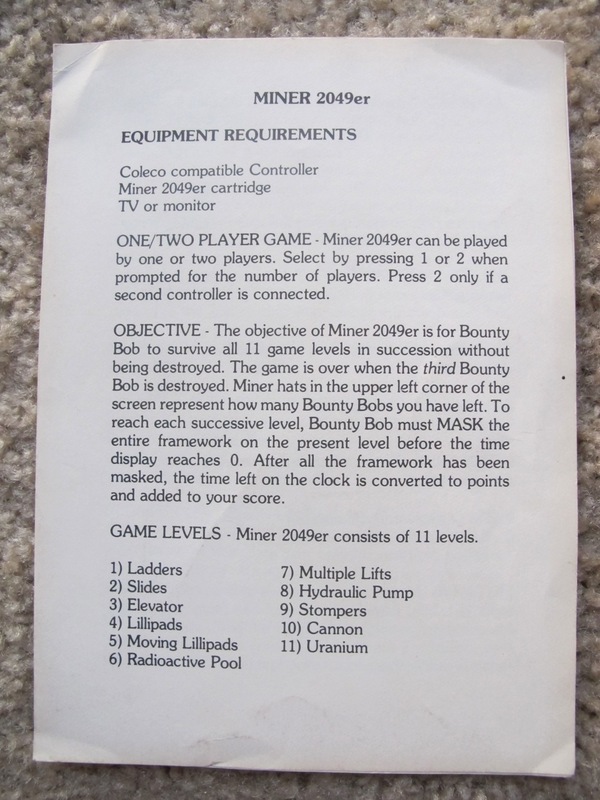 (Advanced Cannon and Pulverizers). 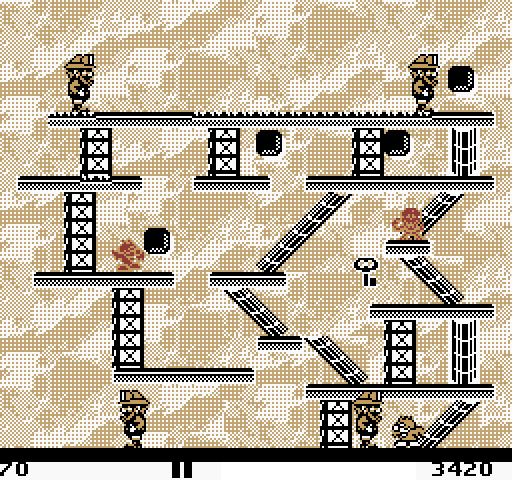 If you’re wondering why Bob shows up four times in our screen shots, it’s because we’ve mapped each level by taking a screen shot of all four corners of the level and then stitched them together in Photoshop for your viewing pleasure. 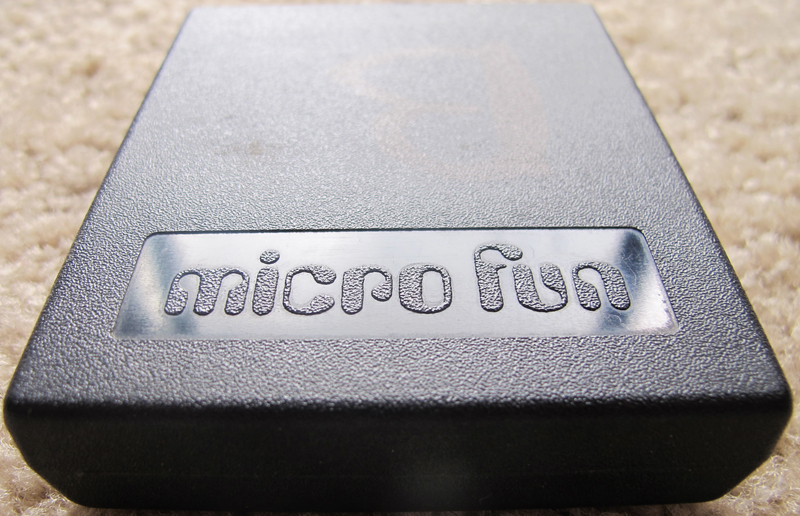 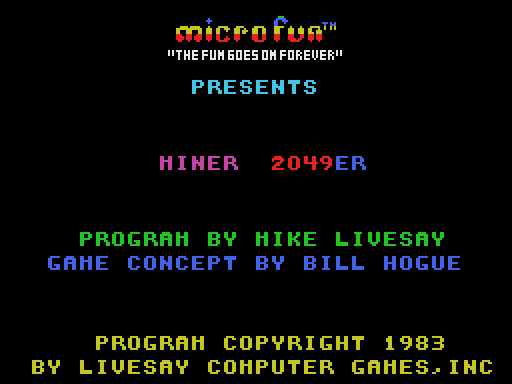 This is the 1983 US Colecovision release by Micro Fun, programmed by Mike Livesay. 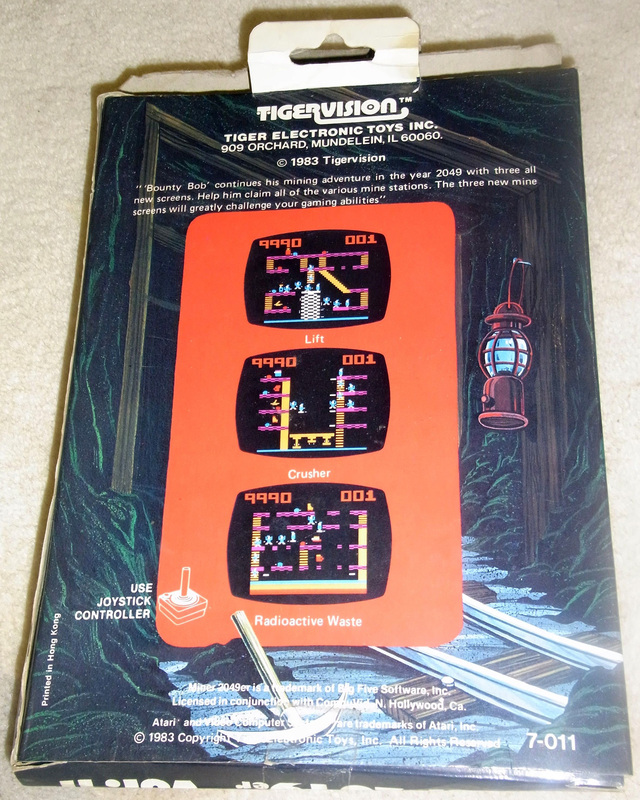 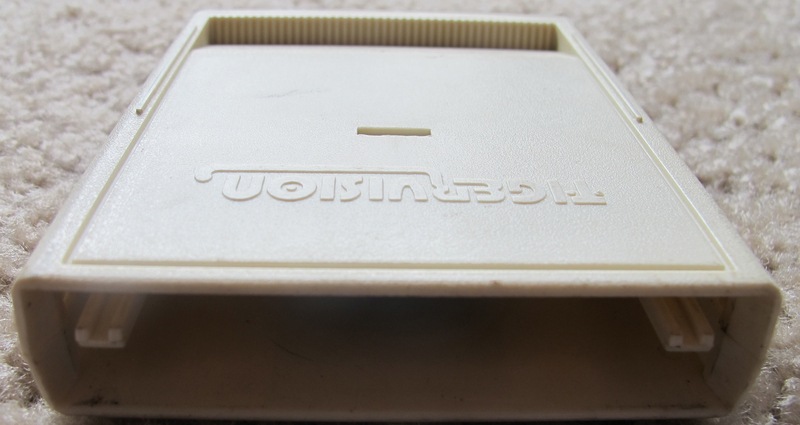 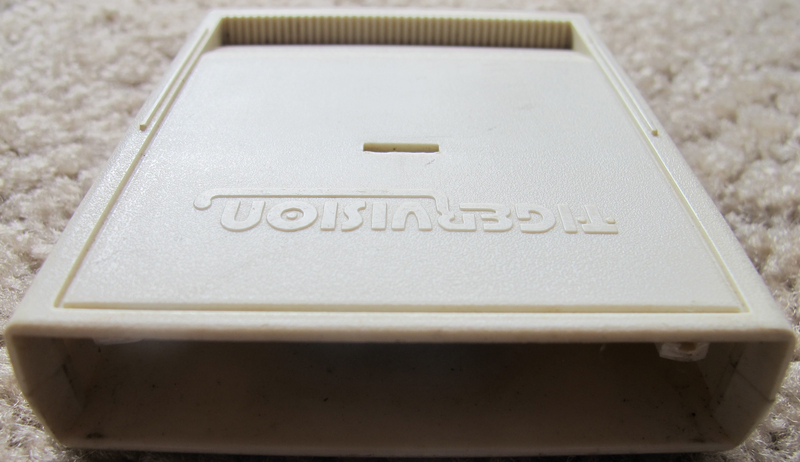 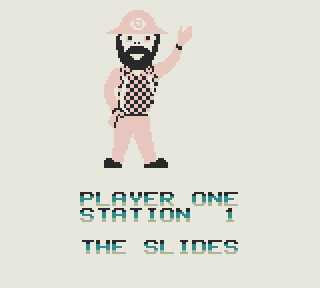 This was the very first 3rd party game for the Colecovision and was initially rejected by Coleco for reasons unknown. 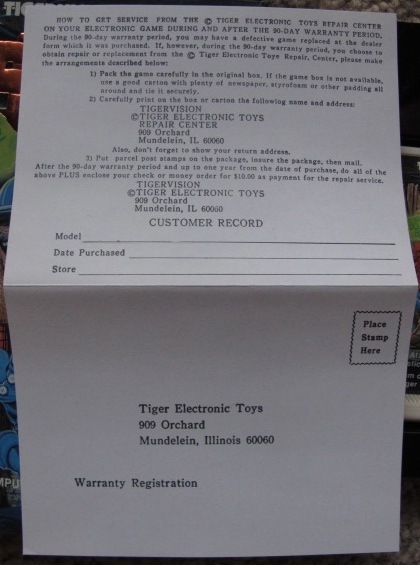 Obviously they ultimately allowed it. 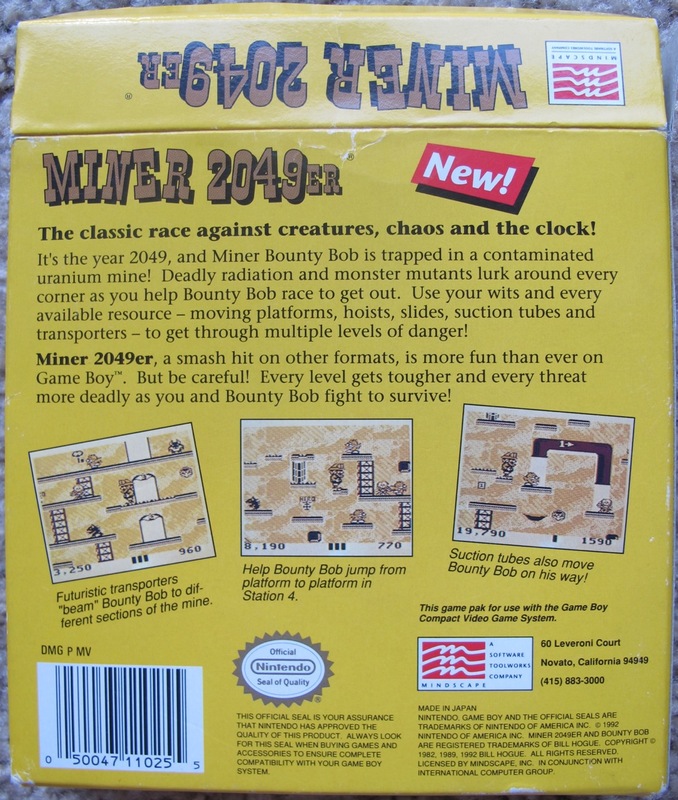 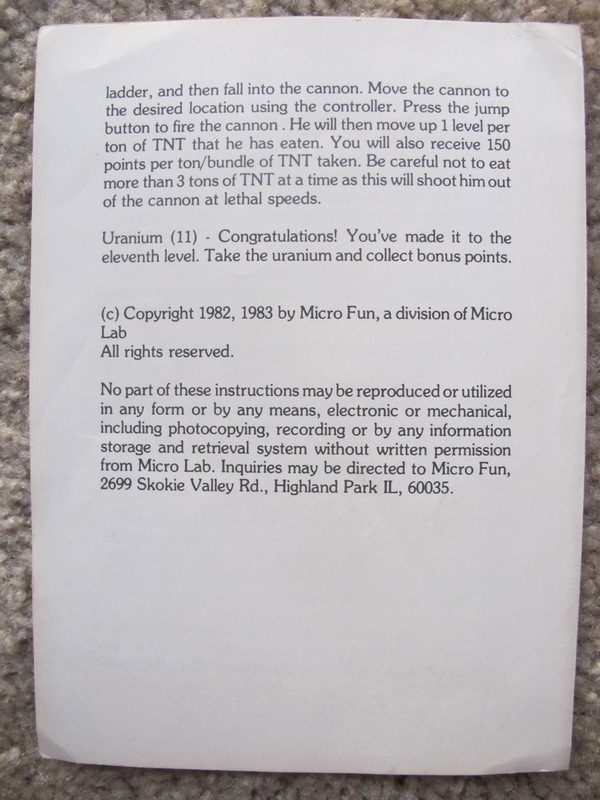 This version featured an extra 11th stage not found in the original (despite the front of the box proclaiming that you should expect “10 screen, full color arcade fun!”) The back of the box says there are 10 levels all over the place as well, except in one spot where it aludes to the 11th level — “in Coleco.” This is because the Apple II, IBM PC, and Colecovision versions all shared the same box, with each getting a sticker on the front saying which version is in the box. 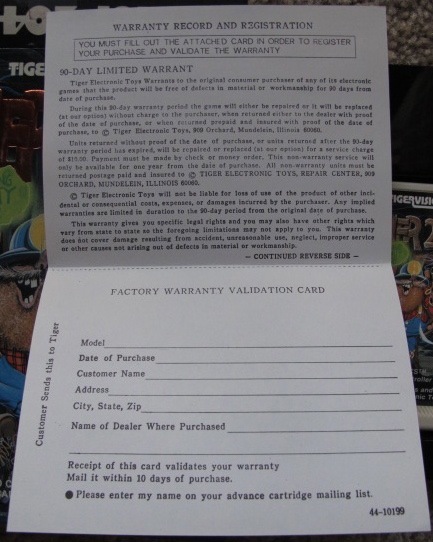 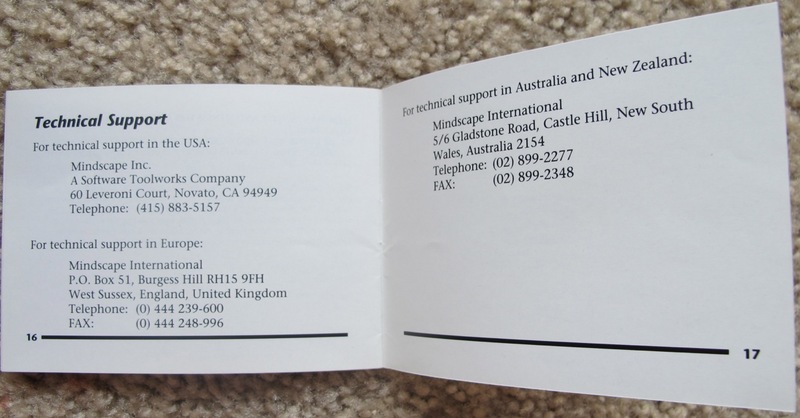 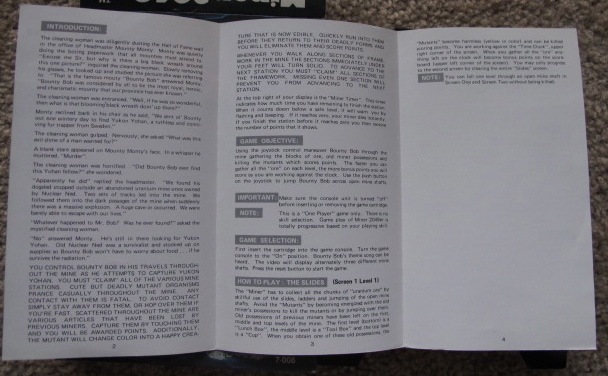 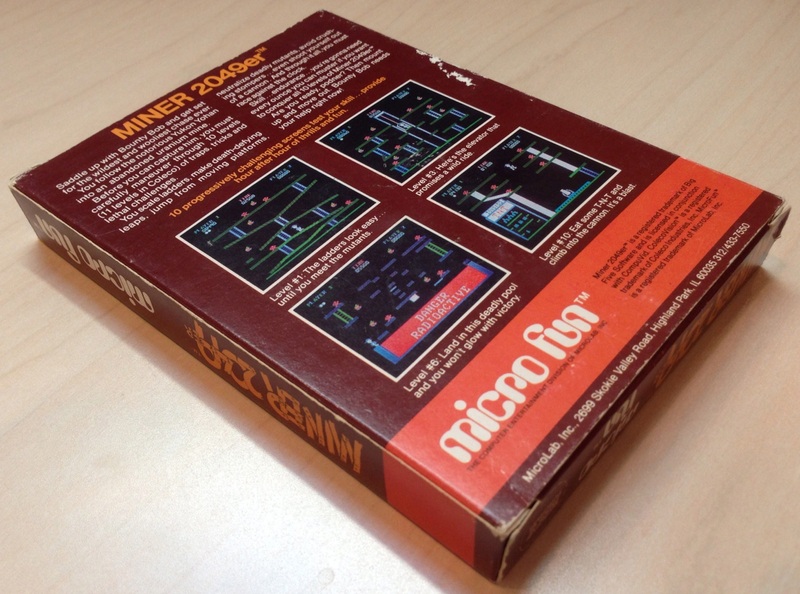 The screen shots on the back of the box are of the Apple II version. 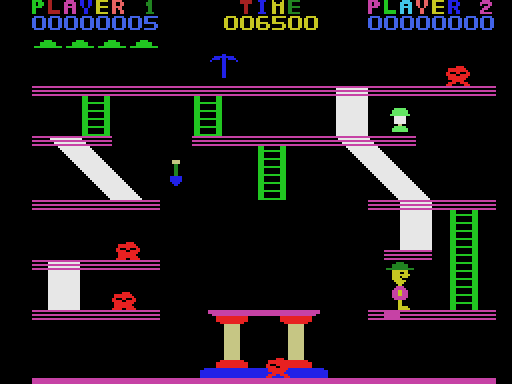 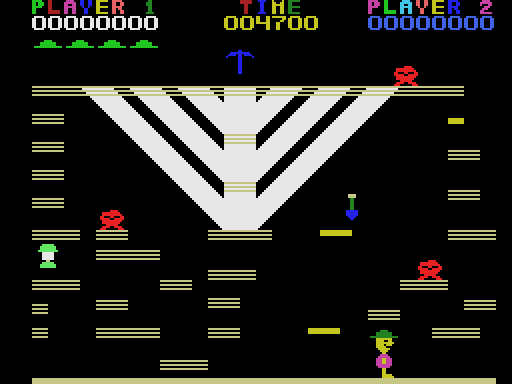 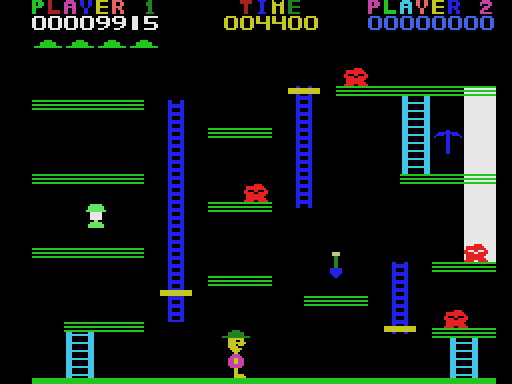 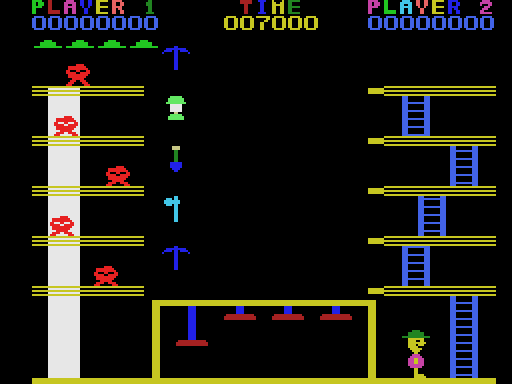 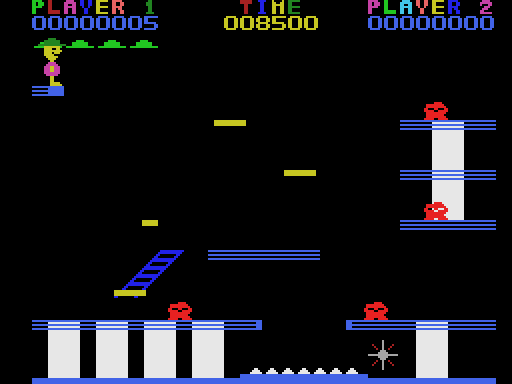 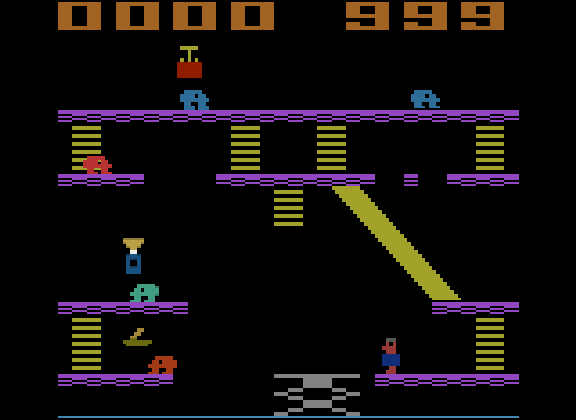 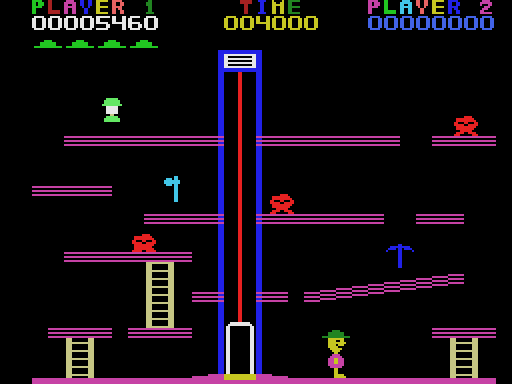 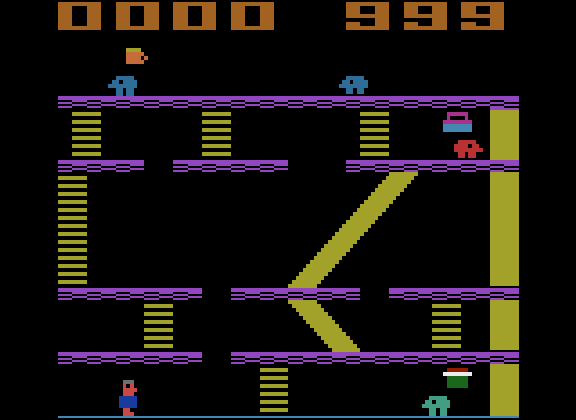 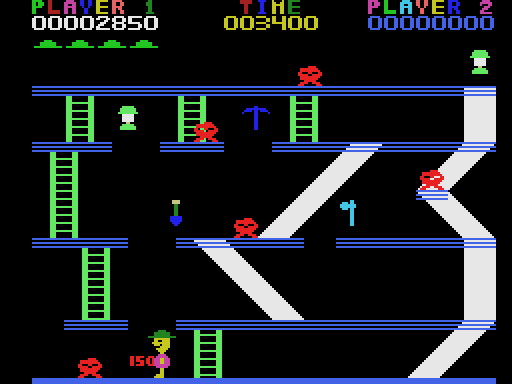 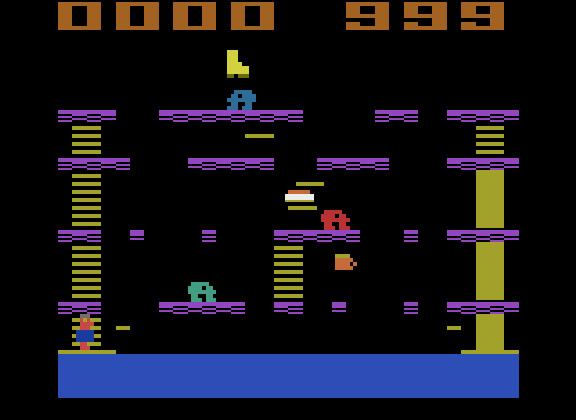 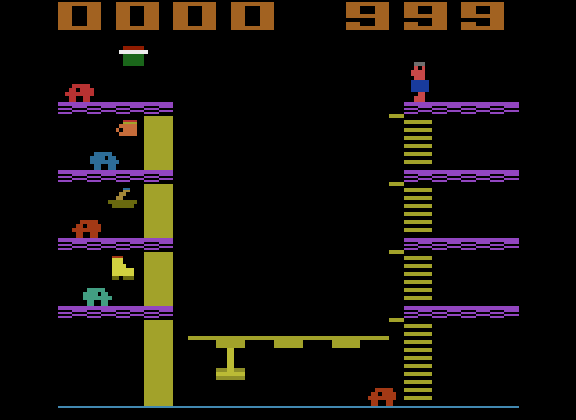 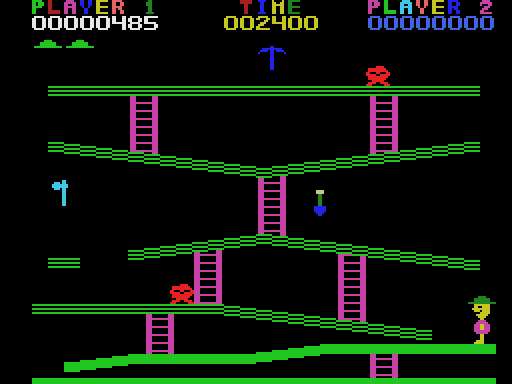 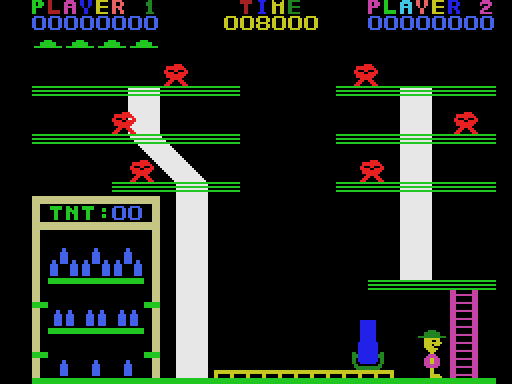 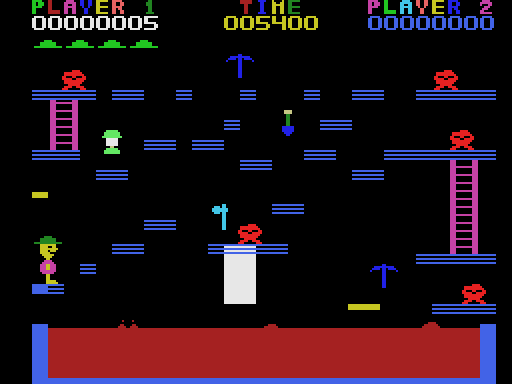 The graphics and faster gameplay were also a departure from the Atari 5200 and Atari home computer versions. 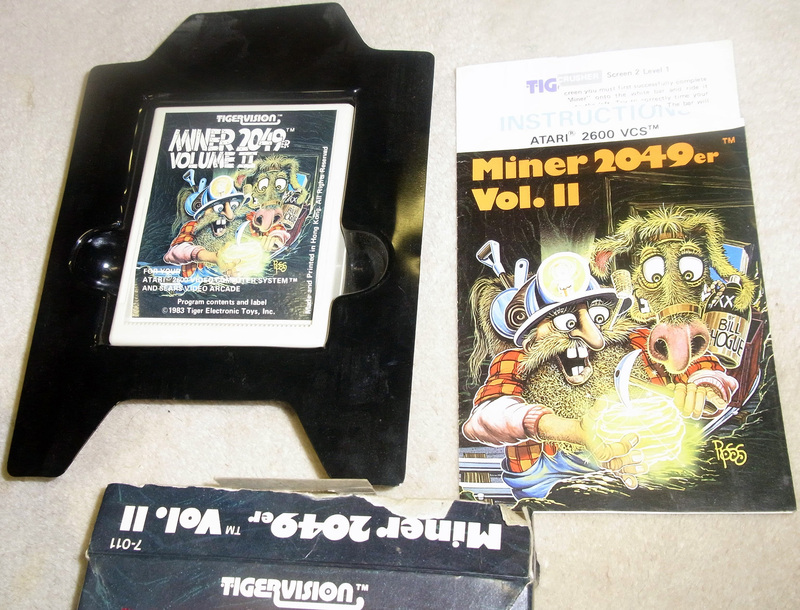 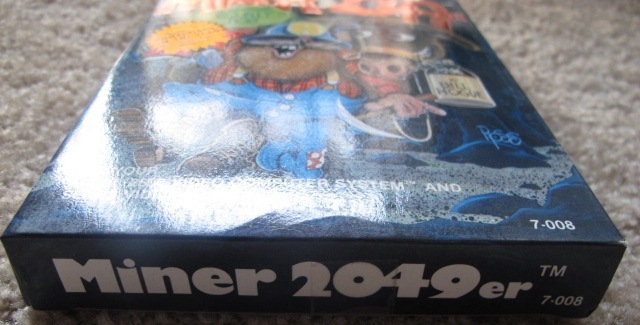 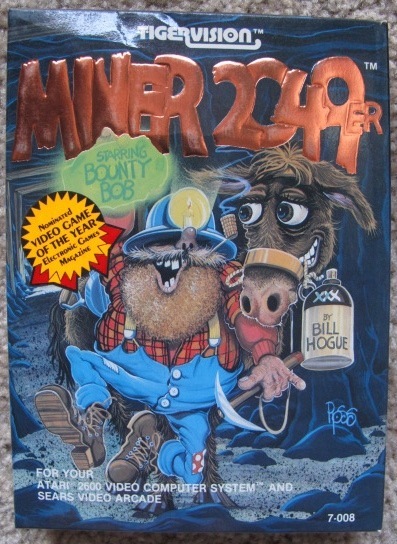 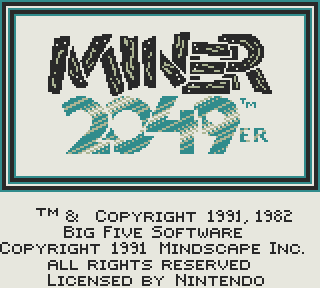 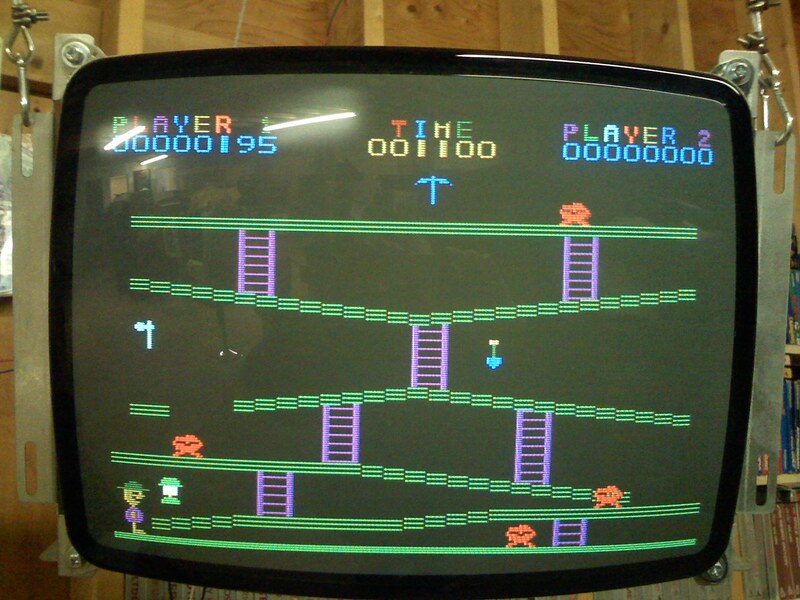 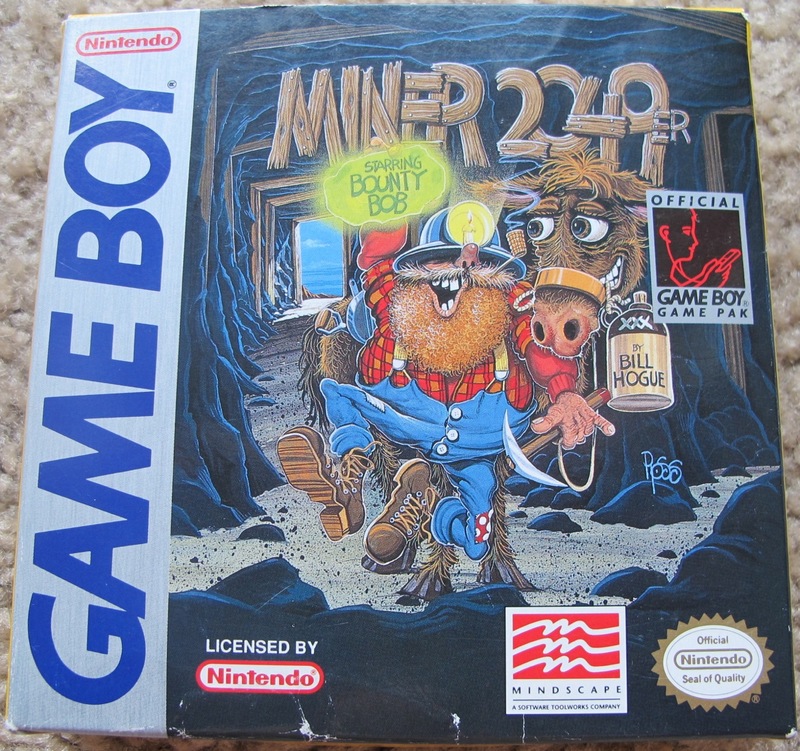 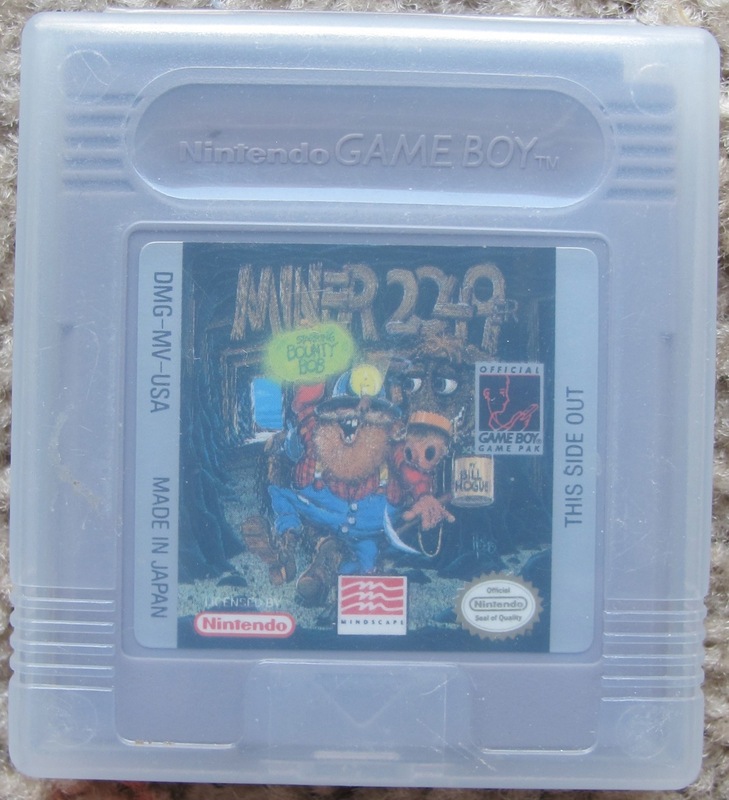 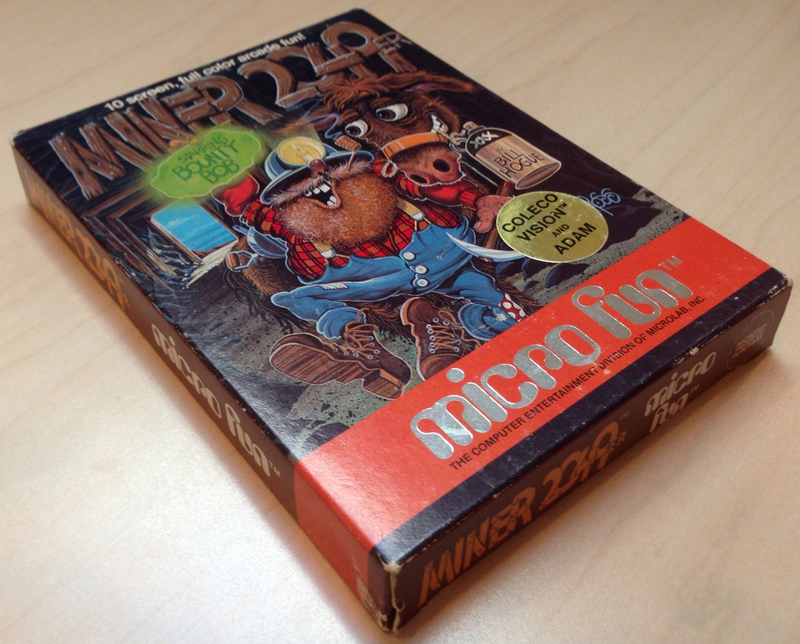 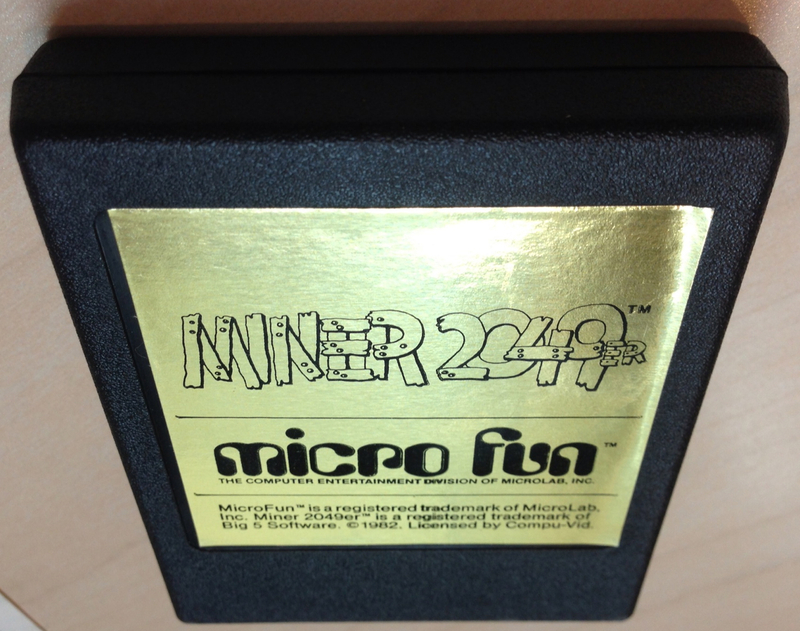 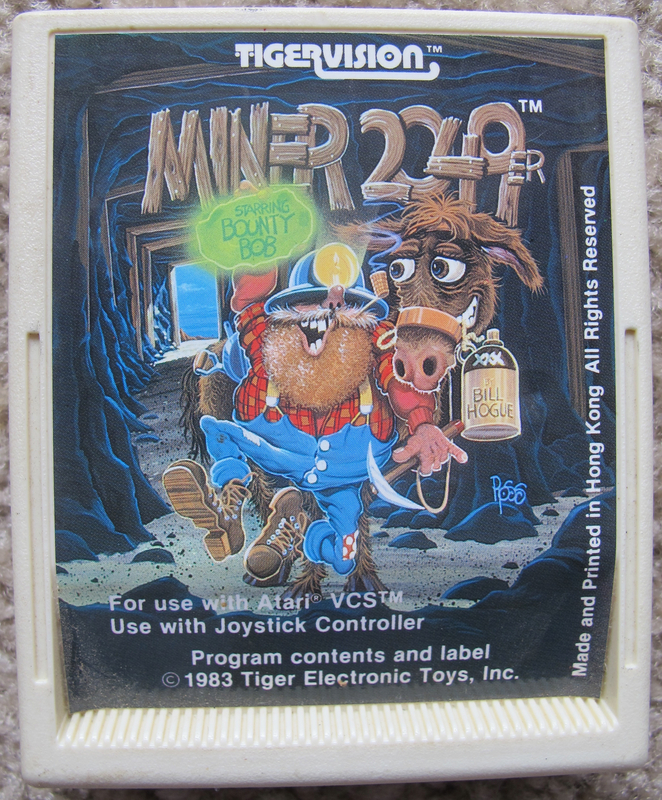 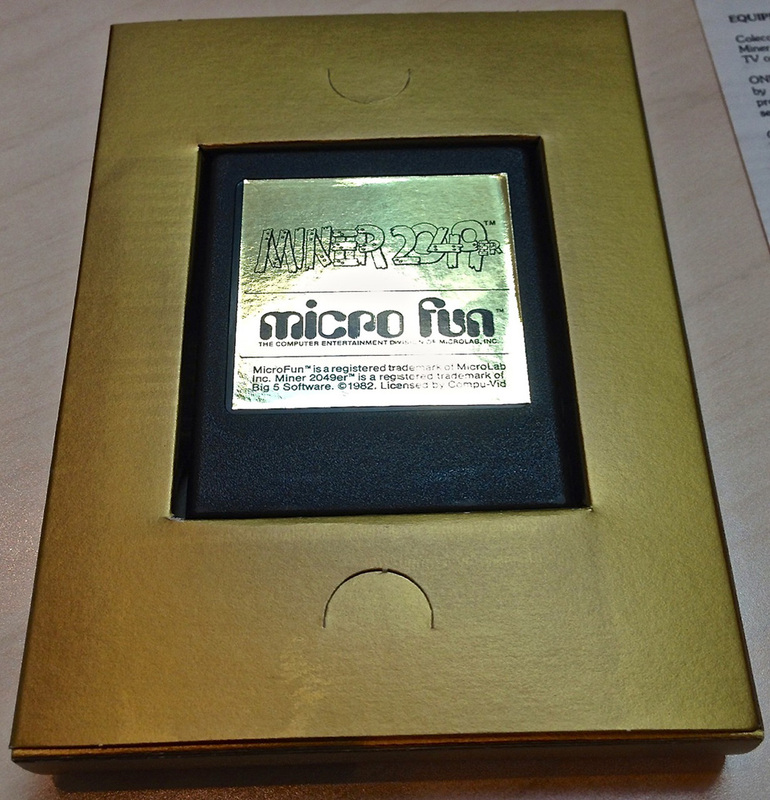 Miner 2049er Volume II was released in in 1983 by Tigervision for the Atari 2600. 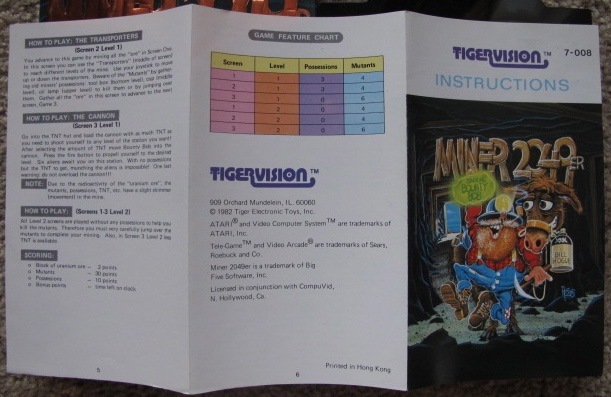 It had only three levels (“Volume I” only had three, too). 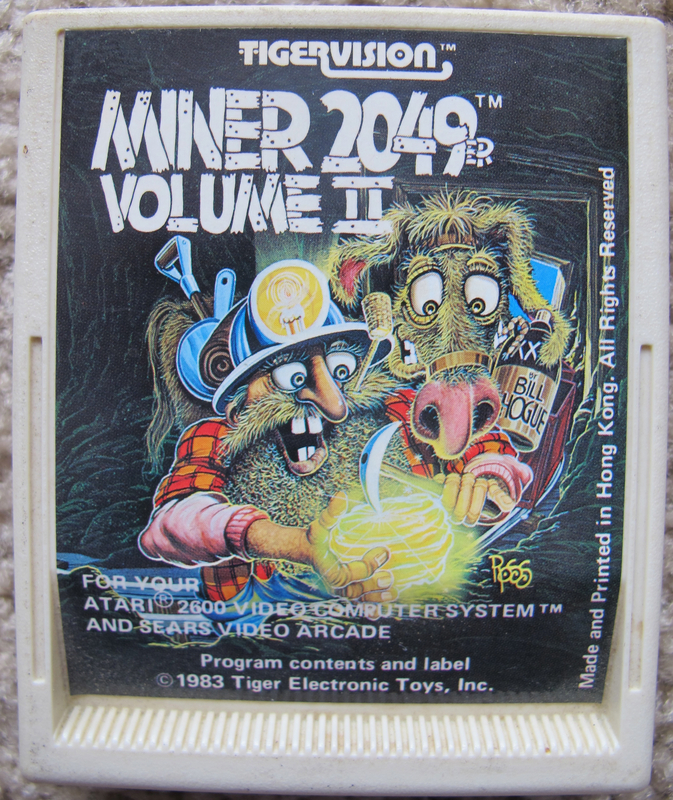 The back of the box proclaims “The three new mine screens will greatly challenge your gaming abilities.” They weren’t lying. 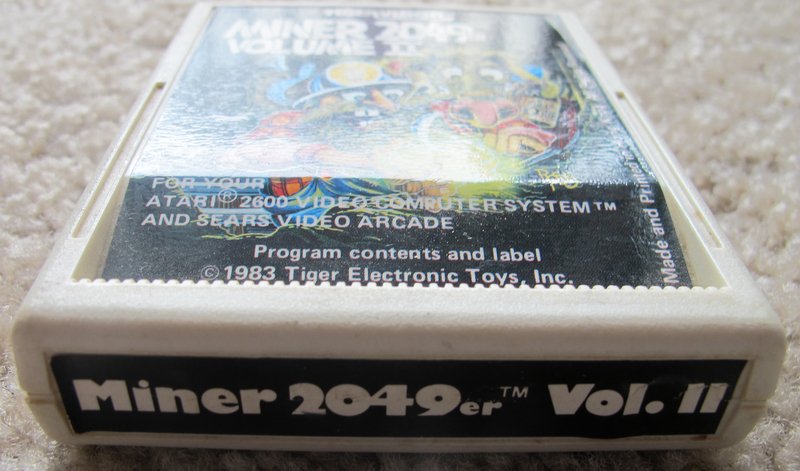 The 2600 version is one of the hardest of all the ports (mostly because it was so hard to control). 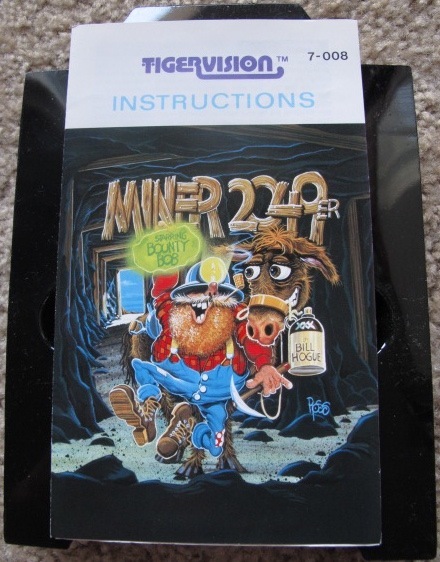 Thanks to poker_plus from AtariAge.com for the packaging images! 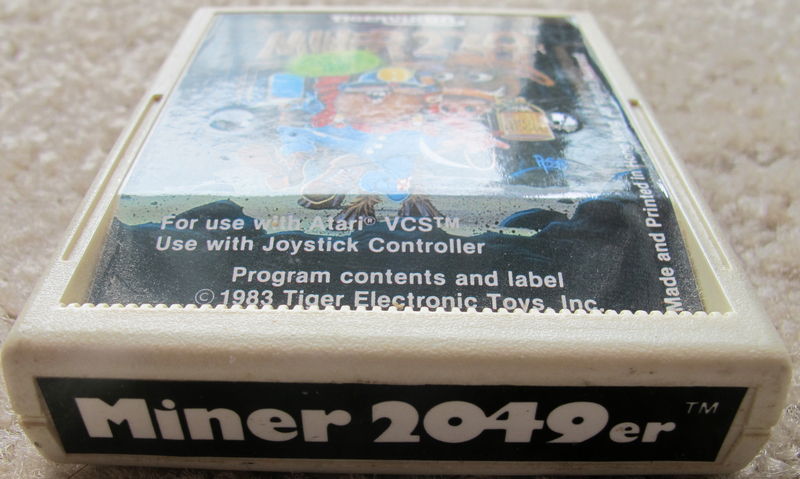 The Atari 2600 version was released in 1982 by Tigervision in the USA. 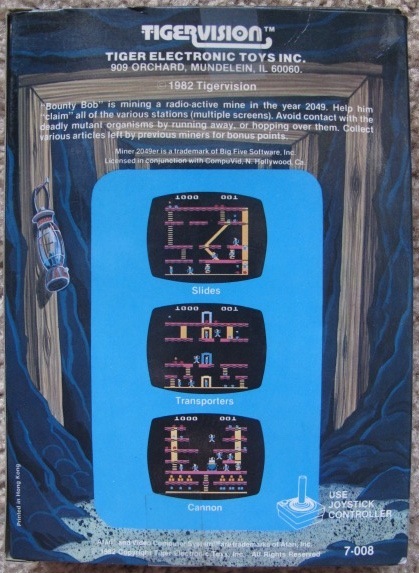 It only included three levels! 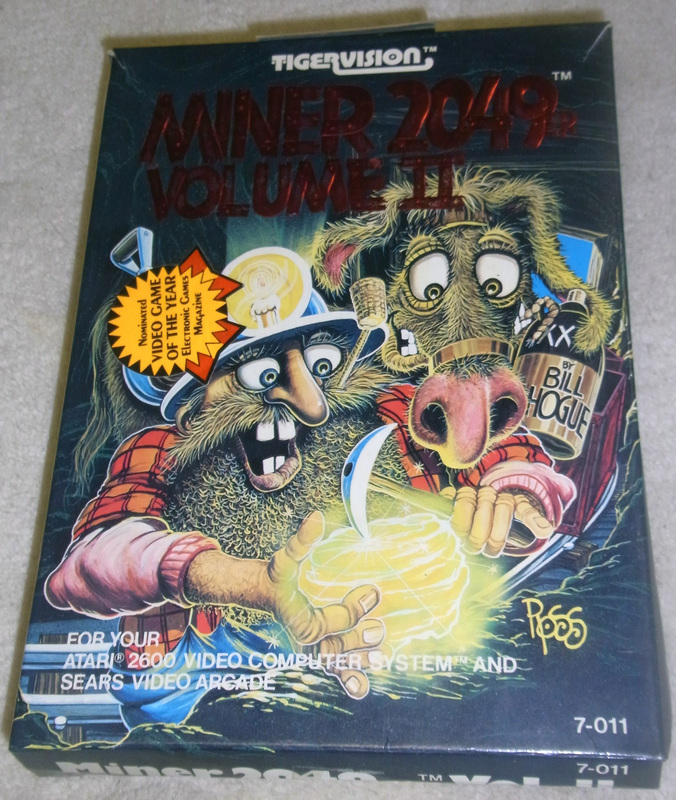 Three more were released later in Volume II.